Depart from your preferred airport for a scheduled flight to Tokyo. Meals on board. Arrive at Narita Airport in Tokyo, you are met by your tour assistant and transferred to your hotel for a 3 night stay. The rest of the day is at your leisure to adjust to the 9 hours time difference. Morning city tour of Tokyo visiting a number of the main highlights of this magnificent City. The tour includes a visit to the Tokyo Tower where you can enjoy panoramic views across the city from the observation tower. We proceed to the peaceful picturesque setting of the Meiji Shrine, set in thick woodland and considered to be one of the finest examples of Shinto Architecture. Next we drive by the 'Akasaka Guest House' for a photo opportunity. The Guest House is a magnificent 'Western Style Palace' built in the Baroque Architectural style. We then drive alongside the imposing National Diet Building, which is home to the Japanese House of Parliament. Our tour continues across Tokyo to the Imperial Palace East Gardens. Enjoy a pleasant walk in the East Garden of the Imperial Palace, which is filled with scenic and historic beauty. (Alternatively for tours on Monday & Friday & when the garden is closed, we will visit the Imperial Palace plaza and famous Double bridge instead). Our tour will continue with a drive and stroll along Ginza high street, the famous shopping area of Tokyo. The tour disbands in Ginza, giving you a great opportunity for shopping. We highly recommend you visit the Sony Centre building to see the futuristic electronics on display. Ginza is also convenient for the subway to explore further areas of Tokyo. Afternoon is free at leisure, or take an optional afternoon Tokyo city tour. The optional tour includes visiting the beautiful Hama-Rikyu garden, enjoying our Sumida River Cruise and visiting the Asakusa Kannon Temple & Nakamise shopping street. We then drive through Kappabashi, Ueno and Akihabara districts of Tokyo before finishing the tour. Ask for details at time of booking. 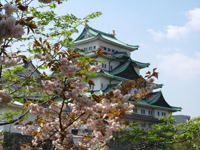 Free day to explore Tokyo at your leisure or purchase an optional full day tour to Nikko. The optional professionally guided tour involves taking a Deluxe motor coach to Nikko National park, a designated World Cultural Heritage site. Nikko is a gem of natural beauty and home to some of the most spectacular examples of ancient architecture in Japan. The tour includes a visit to the magnificent Toshogu shrine, which houses the Mausoleum of the founder of the Tokugawa Shogunate. We also visit the stunning Tamozawa Imperial Villa, constructed in 1899 and which served as the Tokyo residence of the Tokugawa family and later a summer retreat for the Imperial Family. Afterwards we visit the spectacular Kirifuri waterfall. Japanese style Lunch included. The tour disbands on arrival in Ginza & Shinjuku at around 7-8pm, where you will have ample restaurants and bars to choose from for your evening meal and entertainment. If you prefer, you can return to your hotel and our tour guide will be happy to provide you with information on return transportation/directions. Overnight in Tokyo. You will be picked up from your hotel and driven by deluxe motorcoach to Mount Fuji. Along the way you will enjoy the scenery of rural Japan, panoramic views of the Pacific Ocean and mountainous peaks. From our vantage point on the 5th station on MT Fuji, we will enjoy spectacular views (weather permitting). Lunch will be provided at a Hotel/Restaurant in Hakone. In the afternoon we proceed to the Hakone National Park where we will take a cable car ride with the opportunity to see the magnificent volcanic Hakone mountain range below. We will then travel to the Owakudani Boiling Valley where you will see ancient volcanic craters with sulphurous fumes and clouds of steam spiralling from crevasses across the mountain side giving a truly mystical image. We then proceed with our tour for a boat cruise on Lake Ashi, which is set in serene natural beauty, where weather permitting spectacular views of Mount Fuji can be seen silhouetted in the lake. Proceed to Odawara and take the Shinkansen (Bullet train) to Kyoto. Accommodation at the New Miyako hotel or similar (includes: Lunch). For your convenience and due to luggage restriction on the bullet train, we have arrange free luggage transfer to take your large luggage directly to Kyoto (1 bag per person). Morning sight seeing tour of Kyoto including a visit to Nijo Castle, former residence of the Tokugawa Shogun built in 1603. Nijo Castle is noted for its Ornate interior and 'nightingale floor' designed to sing when stepped upon to warn of Ninja assassins. Next we visit the Kinkakuji Temple (Golden Pavilion) centred around one of the best examples of a Japanese Zen gardens in the world. We then travel to Kyoto Imperial Palace, the impressive former residence of the Imperial family. Tour ends around 1:00pm. Day free at Leisure to explore the fascinating city of Kyoto, or purchase our optional Kyoto afternoon tour. The option tour includes visiting the colourful Heian Jingu Shrine and inner garden and ponds. Next we explore Sanjusangendo Hall, a renowned long wooden hall housing all of 1,001 statues that date back to the 13th century. Finally we visit the magnificent Kiyomizu Temple with spectacular views across the entire city. (This highly recommended afternoon tour can be included at time of booking). Optional overnight stay in a traditional Japanese Ryokan is available (inc Breakfast & Evening Dinner) - Contact us for details. Check out of your hotel in the morning and leave your luggage with the bellboy. You are then free to further explore Kyoto before taking the train to Osaka (train tickets provide). The JR train from Kyoto to Osaka, is a regular local train service and does not require reserved seats. Therefore you can take the train whenever you like. Upon arrival at Osaka, check in to your hotel which is conveniently located just minutes on foot from the JR Osaka station. You will be transferred to the futuristic Kansai International Airport in Osaka for your departure flight to Naha, Okinawa. Upon arrival our meeting assistant will welcome you and help you take the shuttle bus to your beautiful 4 star resort hotel, staying in sea-view rooms. Day free at Leisure to relax on the beach and explore local amenities and numerous water sport activities that are available for purchase locally. Day free at Leisure at your beach resort to enjoy the beautiful soft sand and clear emerald green Ocean. Morning free. Check out of your hotel and take shuttle bus (ticket included) to the airport for your flight to Tokyo in the afternoon. Upon arrive at Tokyo Haneda Airport, make you own way to your Hotel. Take the free hotel shuttle bus service to the airport for your flight home. We can provide additional nights accommodation for both our tour options in Okinawa. The package includes sea-view rooms and breakfast and dinner in Okinawa. *Prices can vary on certain dates in Okinawa & at festival times. Contact us for confirmation and availability. The prices shown above are 'per person' based upon twin share. Airport/hotel transfers - as specified in the itinerary. Sightseeing tours by professional English-speaking tour guide. Selections of quality accommodation in well furnished hotel rooms with private facilities. Free luggage transfer from hotel to hotel between Tokyo & Kyoto. International Flights: We are happy to provide all flights with full ATOL Protection. Special rate Flights Osaka - Naha (Okinawa) - Tokyo approx £100pp bookable 3 months in advance. A stay at a traditional Ryokan (Japanese style Inn) is a highly recommended experience, with excellent standards of service. We can arrange a 1 night Ryokan stay on your last day in Kyoto, or in Hakone. The supplement starts from £160 per person for 1 night with Japanese breakfast & Dinner included. Please see our FAQ page for further essential tour information. For your 4 star hotels in Okinawa, all rooms have ocean-view and daily breakfast and dinner is included. This tour is suitable for travellers of all ages, who are reasonably fit and healthy. Add on tours and city extensions are available, for details visit optional tours page. Nijo Castle (Kyoto) is closed (every Tuesday in Jan, July, Aug & Dec), therefore if your tour falls on these dates, we will visit Ryoanji Temple instead. Kyoto Imperial Palace is closed at weekends and on national holidays, we will visit Kitano Tenmangu instead. Hiroshima & Miyajima optional tour usually operates Mon - Wed, Frid -Sunday. Our itinerary is designed according to the most up to date information available at the time. The above itinerary highlights the main attractions that are to be visited each day.In regards to expected transfer times, flight and train times these may vary as they are subject to schedules and availability controlled by the various flight & railway companies. It is extremely rare that itineraries ever need changes and we will always act in your best interest to handle any amendments if this did occur. However we reserve the right to change, amend or alter the itinerary if required, for example occasionally the tour sequence and duration of time spent in each city can change due to local conditions which are out of our control or due to heavy traffic conditions, flight delays or bad weather. Please refer to the booking form for detailed terms & conditions. Download Booking Form Email Us to find out more. We reserve our copyright, please contact us to obtain permission if you wish to use any photos or literature from this site.